Summer is just around the corner, the weather is warmer, and the days seem just a bit longer. That means it’s time for some outdoor fun and what better way to kick things off than this weekend at the 30th anniversary of the Annual Strawberry Festival in Oxnard, California where you can experience more ways to use strawberries than you could ever imagine from strawberry shortcake to strawberry wine and a whole lot in between. This family-friendly festival boasts neat events like strawberry pie eating contests, Strawberryland rides, arts and crafts, and so much more. In addition to oral delights, there’s a slew of aural delights with a full line-up of music from just about every genre of music you can think of (http://strawberry-fest.org/entertainment.html). The event runs Saturday, May 18th through Sunday, May 19th, from 10:00am-6:30pm. Tickets are $12 for Adults ($8 for military and dependents with ID and seniors), $5 for children 5-12, kids 4 and under are free. 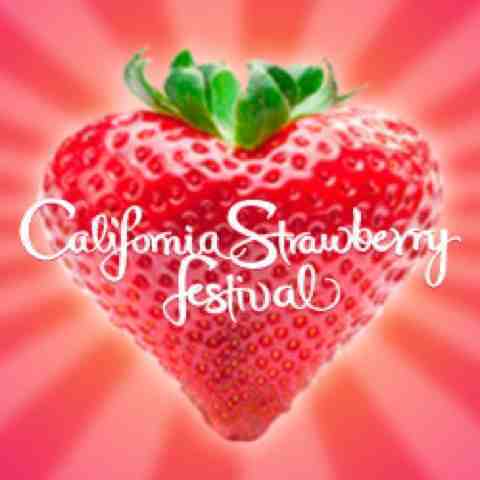 The Festival location is at the Strawberry Meadows of College Park at 3250 South Rose Avenue in Oxnard, CA.